Does anyone in YOUR FAMILY have a history of Breast Cancer? Breast cancer will affect around 1 in 8 women in their lifetime. 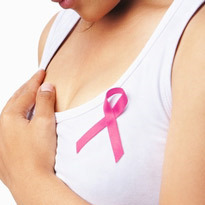 However, some women are at higher risk of developing breast cancer, for example those who have relatives with breast cancer, and may benefit from more regular mammograms and, in some instances, prophylactic (preventative or protective) medication. There is a really helpful tool on the BreastCancerNow Website which we encourage our patients to use, even if you have been reassured in the past. It helps YOU work out YOUR level of risk NOW. You can print out the results and show it to your GP if it suggests that referral onwards may be indicated. Unfortunately, because of the very large number of women who have relatives with breast cancer, it is not feasible for us to complete the questionnaire for you in a consultation but of course we will help you with any questions or concerns that you may have.